Small Flatbeds, Large Benefits. Grow Business with Direct to Object Printing. For print service providers (PSPs) looking for a great add on to existing services, pad printing or small format flatbeds are ideal options. Today’s technology gives print shops the ability to cost-effectively customize products with direct to object printing. This includes promotional items like sunglasses, key chains, and USB drives to smaller signage and other unique projects. Creating a banner or some other graphic can complement the same job to increase the bottom line. Today’s recent technological advancements allow print providers in the wide format space to successfully adapt smaller format flatbeds for use in direct to object printing. Elements like printheads, ink, physical features and attachment options, and software all play a role. Printhead technology, curing lamps, and ink components combine for an essential part of the process, according to Jay Roberts, product manager, UV printers, Roland DGA Corporation. He claims there is a “unique synergy” between these key features. “UV ink has photo-initiators within it, which when ‘hit’ with a UV light source are cured immediately. This is made possible by smaller, low-heat UV LED lamps that use less power than their predecessors but cure at a significantly different UV light range. That said, the printheads must be able to accommodate the ink, and do so at that specific light range,” continues Roberts. Advancements in ink chemistry are influential. “Flexible UV inks provide the ability to print on items like leather goods and garments, white ink offers the ability to print vibrant colors on the darkest of products and substrates, and the curing of variable amounts of ink provides extreme texture in a single pass—the ink is the core in all of these applications,” admonishes Michael Perrelli, marketing manager, Direct Color Systems. “The improvement of durability and the bonding property of UV LED ink allows for colors to fix onto various materials like stone, wood, glass, leather, and metal. The existence of colors such as white, varnish, silver, and fluorescent makes various special effects,” agrees Christin Park, marketing manager, Valloy Incorporation. Physical features and attachment options drive usage. Vacuum tables and shirt platens, according to Perrelli, expand a machine’s capabilities. “The other area is the availability of rotary attachments and roll-to-roll systems for flatbed printers, which allow small flatbeds to deal with cylindrical objects and roll media,” explains Keira Lee, senior marketing specialist, GCC. “The software that runs the printers continues to evolve as well. 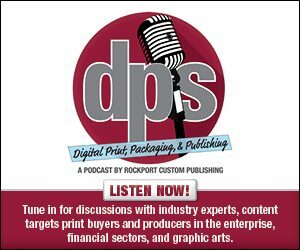 Print modes, ease of file setup, and workflow processes are updated or adjusted with an eye towards producing higher quality products at faster speeds,” adds Perrelli. Adding direct to object services with a small format flatbed printer benefits the print provider and their customer. More ideal, these devices complement a PSP’s existing wide format printing offerings. Adopting this technology introduces to new industries and markets. “Driven by the expansion of eCommerce, the need for customization and print on demand services are mainstream. A small format flatbed excels at providing custom product in small quantities, and therefore print providers who incorporate small format flatbeds enhance their ability to satisfy distinct needs from each individual, which suggests extending business to not only the sign industry but also the personalized gifts market,” shares Lee. The ability to offer new products to existing customers is a benefit. “The print provider can offer products produced on the small format that can’t be produced on other printers like Braille signage or water bottles. We also see customers using their small format UV printers to add texture or raised element to preprinted products,” says Perrelli. “Being able to transform standard or blank products by adding unique printed designs and eye-catching dimensional effects allows for the creation of products with a higher perceived value than typical mass produced offerings. Having the ability to enhance everything from picture frames, shoes, and cell phone covers to water bottles, hats, cases, and luggage with rich, vibrant graphics opens a new world of opportunities,” adds Roberts. Selling a variety of many products makes the PSP a one-stop shop. “The print provider gains a reputation that they can be the one place where a consumer can bring anything for printing. Small format flatbeds allow for short-run jobs or jobs specific to a particular geography to be set up, printed, and completed in a timely and economical fashion,” explains Mark Rugen, director of product marketing and education, Mutoh America, Inc.
“Customers who have a variety of products will reach out to a business who is capable of printing more of their products. It will enable more savings for them, which aids in creating a loyal customer base,” suggests Smith. Since 1997, 1 Hour Signs & More has serviced the greater Sudbury, ON area in Canada. It currently operates out of a 4,000 square foot 100 year old farmhouse. With a small staff, the company relies on its digital printers to do a lot of its heavy lifting, admits Jodie Parnell, owner, 1 Hour Signs & More. These printers include three wide format and one small format flatbed, all from Roland. Since the late 1990s, the Roland brand has been a mainstay in the shop. Its small format flatbed, the 20×13-inch VersaUV LEF-200, was added about four years ago. The intention was to use it for printing promotional items, however the original plan did not pan out and instead the VersaUV LEF-200 “is a tool that creates some really unique products,” shares Parnell. According to Parnell, just about anything that fits into the machine is printable. Since its purchase, the team used it to print onto glass, wood, rubber, metal, and brick. Customers that purchase applications printed on the VersaUV LEF-200 include institutional clients such as colleges, hospitals, and government agencies. Wayfinding signs, door nameplates, and nametags are common requests. Part of the advantage of the VersaUV LEF-200 is its ability to print raised ink. “It allows us to add that extra pop to the sign that a standard printer or engraver can’t offer. We own an engraver and haven’t used it since purchasing the VersaUV LEF-200,” admits Parnell. Another positive, the VersaUV LEF-200 allows 1 Hour Signs & More to minimize its waste. A lot of the offcuts from its larger print jobs are put aside and run through the VersaUV LEF-200 for small signs and identification badges. Parnell says this not only maximizes profit but provides options for unique projects. The process of implementing and using the VersaUV LEF-200 brought few learning curves. Instead, Parnell shares that the biggest challenges were reconfiguring its pricing structure for some of the unique items and learning how to design and set up a file to print on untraditional objects. For example, when a customer supplied a rock to be printed, it brought up a whole new set of challenges for the graphic designer and production staff. “The design to set up to print on a 3D curved bumpy object is different than the set up and design of a coroplast sign or banner,” admits Parnell. With the nature of the VersaUV LEF-200, each unique job presents its own set of obstacles. However, 1 Hour Signs & More is up to the task. “For us, the small format flatbed is a great addition to our business. It took some time for us to build our customer base. The key to being profitable with it is to think outside the box and sell items that no one else is producing,” explains Parnell. Small format flatbed printers print to premanufactured materials used for promotional purposes and surfaces such as brick and metal. Both of these scenarios present new industries to PSPs. In addition, the implementation of a small format flatbed can speed up productivity, as some of the smaller jobs previously done on a wide format device are transitioned to the smaller printer. By adding a small format flatbed, PSPs invite new opportunities into their business.